Tottenham are returning to Wembley Stadium until at least October after delaying the opening of their new stadium due to safety concerns. The club confirmed on Monday that the home Premier League games against Liverpool and Cardiff City have been moved to the national stadium as well as the NFL game between the Seattle Seahawks and Oakland Raiders. But what does this mean for Tottenham? And what happens next? The club announced on Monday that safety concerns had forced games with Liverpool and Cardiff, as well as an NFL game scheduled for October 14, to be moved to Wembley. The construction company, MACE, highlighted certain safety issues, which have delayed the two test events scheduled to take place on August 27 (academy fixture) and September 1 (legends match v Bayern Munich). 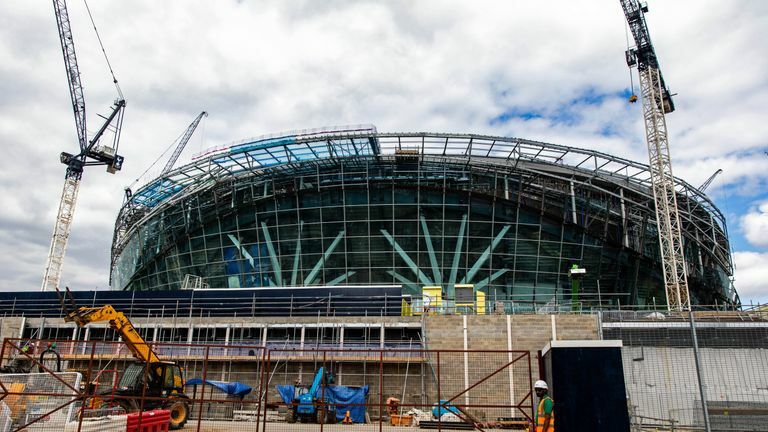 Spurs made the decision to activate the clause based on construction delays and problems with the "critical safety systems" at the new Tottenham Hotspur Stadium. One source close to the stadium work has told Sky Sports News there is a pile-up with workers unable to get to certain parts of the construction site because of how busy it is, due to the extra numbers brought in to help complete the work in time. When will new stadium be ready? A safety licence must be granted before matches can be staged at the ground and that will not happen before test events take place. The club's website lists the home game against Manchester City on October 28 as TBC and the Chelsea game on November 24 as at the Tottenham Hotspur Stadium. How long is the Wembley deal for? Tottenham have a deal with the FA to play two further matches at Wembley. Spurs insisted on Tuesday that, contrary to reports, the option to have Wembley as a contingency plan had been arranged in late 2017. What about the NFL game? Wembley is due to host an NFL match on October 28, the same date Tottenham are scheduled to play Manchester City. It is not yet clear whether Spurs could end up playing a home game at a third designated home ground. One consideration will be playing the game at Wembley 24 hours earlier on Saturday, October 27. However, the preparations necessary on the pitch and in the stadium means this would prove very difficult to complete in time. Another consideration would be to play the match at the Etihad Stadium. Last season, West Ham were given special dispensation from the Premier League to switch their scheduled home match with Southampton to St Mary's due to the World Athletics Championships at the London Stadium. However, Sky Sports News understands the Premier League are highly unlikely to agree to this on this occasion. It is understood the Premier League feel there would be too much of an impact on the fixture list and other clubs. What about the Champions League? Spurs and UEFA remain in dialogue over the Champions League group stage matches. SSN have been told there is flexibility with UEFA, who would have no major problems with any change. What helps Tottenham is that Wembley is well known to UEFA, but the governing body for European football will require suitable notice for planning purposes. Tottenham have until August 30 to clarify their stadium situation with UEFA as that's when the group stage draw for the Champions League will be made in Monaco. What is the view of the Premier League? Any other ramifications? At this stage there is no consideration of punishing Tottenham with fines or points deductions. 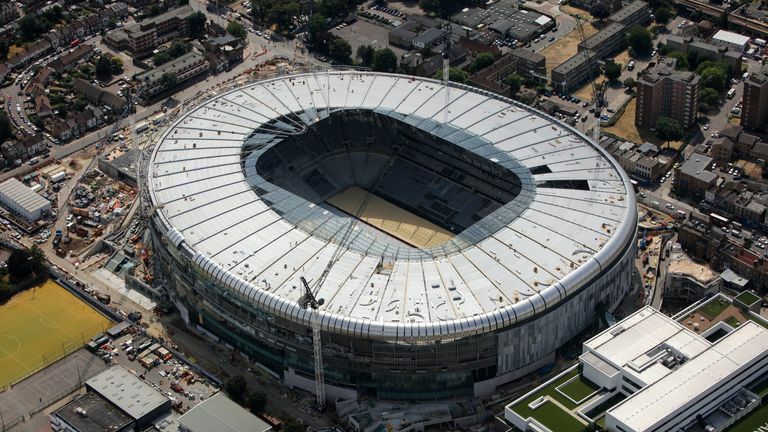 Daniel Levy called for "patience" among the fans over what he describes as a "complex and challenging build". Tottenham have apologised to fans over delays to their new stadium, promising refunds for ticket holders who can't make the additional two league games moved to Wembley. Which PL stars could still leave? The Tottenham Supporters Trust will speak with the club board on Tuesday to "discuss practical implications and mitigation for the thousands of ST holders and fans affected by this news". The same supporters club recently called for a "full and believable explanation" of Spurs summer transfer policy.